I just thought of this exercise the other day to improve my bottom-position deadlift strength (my weak point). I’m sure it’s been thought of before by other coaches, but I didn’t know what to call them so I came up with “lift-offs.” Notice that I don’t come up much (just 2 inches or so), and it’s rhythmic in that the plates bounce symmetrically. Oly lifters do a similar assistance-lift but they come up much higher – to around knee height. You can do these off the floor or while standing on a plate for added ROM, which allows you to really feel it in the glutes. I did 3 sets of with 40-60% of 1RM for 15 reps, but I’m going to go heavier with these next session. 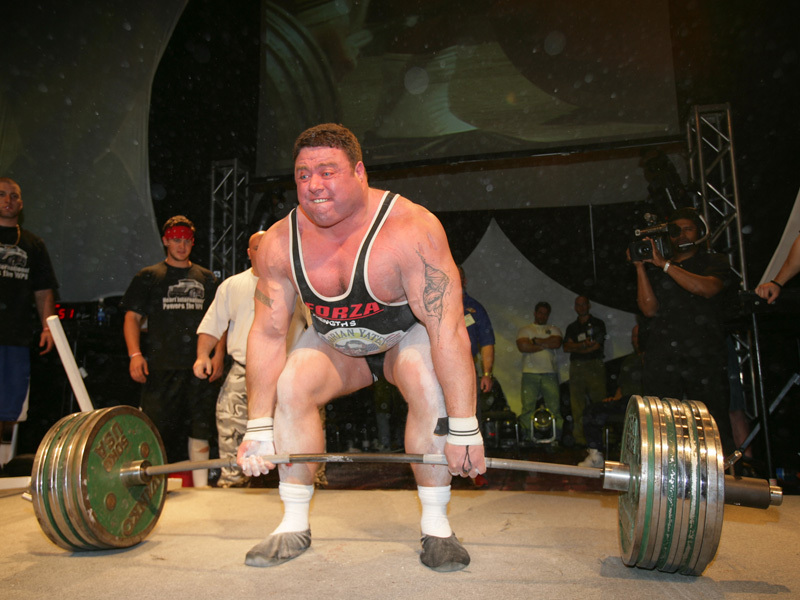 The post Lift-Offs: A Bottom-Position Deadlift-Assistance Exercise appeared first on Bret Contreras.